Now this is some cool software. 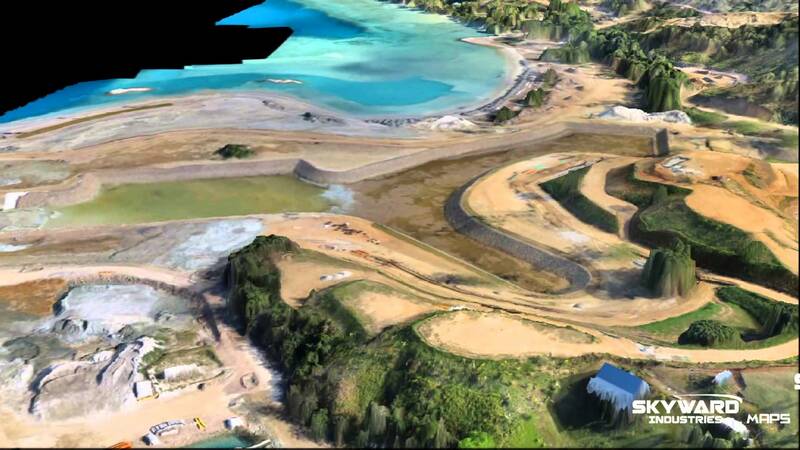 Skyward Industries uses their own software to create 3D models using data collected by drones. The maps are fairly realistic. Skyward Industries MAPS provides its clients with state of the art aerial imagery and surveying data. Reaching an accuracy up to 3cm on a three plains of field, the company’s mapping and virtual surveying capabilities are unmatched. Have your map with full data rendering and calculations done within a 72h turn over period!